Why do you need orthodontic retainers? You’ve had your orthodontic treatment, so why do you need another device in your mouth? Orthodontic care is an investment–an investment in you and in a lifelong smile! You’ve taken the time (and money) to get a straight smile, now retain it! Retainers are the perfect way to keep your teeth healthy and straight for the rest of your life. 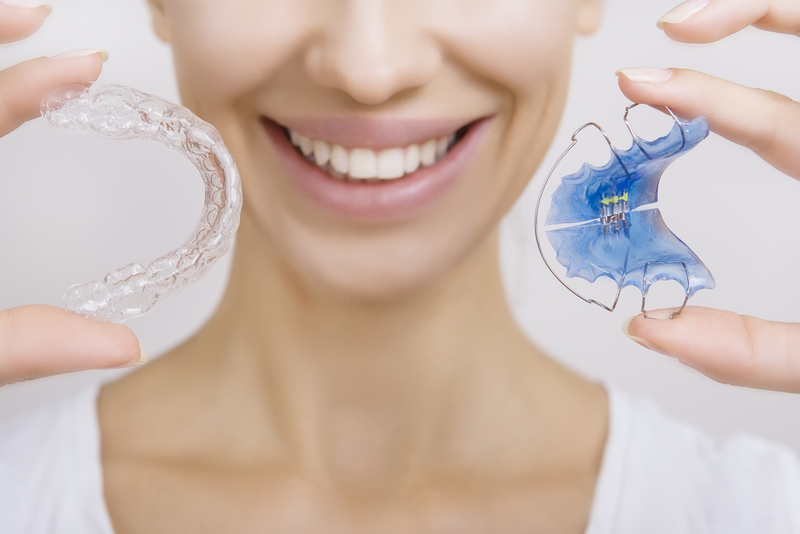 We have various types of retainers for our patients—ones to simply keep your teeth straight and ones to combat bruxism and teeth grinding while also keeping your teeth in line. Once your brackets come off, your teeth can quickly change position that first year, especially in the first month. We provide removable retainers for you or a permanent retainer depending on your needs. At Belmar Orthodontics, we want to find the best retainer for you to keep your smile straight for years to come. Call us today to schedule your orthodontic appointment and learn how a retainer can benefit you. Braces are an investment that can change your smile for the rest of your life. Straight smiles from orthodontic treatment have been proven to increase confidence and self-esteem. Studies show that a straighter smile makes a person appear more attractive, more successful, confident and even more trustworthy. Receiving all of those benefits comes from only about 12-24 months of orthodontic care and wearing braces. Not too bad for a lifetime of amazing benefits, right? But now that the braces are off, retainers keep that smile healthy and straight. Custom-made retainers fit your mouth to preserve your smile and avoid relapse. Retainers are meant to keep the structure of your teeth for the rest of your life. The first month is absolutely critical when it comes to wearing your retainers. Teeth are more prone to move back to their crooked shape during this time. As you age, there is a phenomenon called “natural physiological drift” that will cause the width of our smiles to become narrower and the teeth to move. Wearing retainers will prevent this drift. You’ll be thanking yourself in the future. Many patients that receive dental care also might have common problems such as bruxism or TMJ. Bruxism is the clenching and grinding of the teeth at night. It affects around 10% of adults and 15% of children, so it’s actually quite common. We fit our patients for bruxism retainers that will provide a buffer between the teeth that grind together, keeping them strong and preventing wear and tear and tooth fractures. These retainers will also do double duty by keeping your teeth aligned. TMJ stands for “temporomandibular joints” and has to do with the muscles that help you open and close your mouth. When the mouth doesn’t open and close properly, you will have jaw pain and more difficulty speaking swallowing and chewing. This is usually referred to as TMD, which is “temporomandibular disorder.” Basically, this means that the teeth either don’t line up together properly, causing malocclusion and bruxism as well (which we mentioned above). A TMJ retainer will help keep the jaw in line and keep you from feeling pain. Did you know that you can receive a permanent retainer? If you don’t want the hassle of having to put your retainer in every night, there are options for permanent retainers to be placed behind either or both of the upper and lower teeth. This is a great option for patients that misplace retainers easily or will forget to keep wearing the retainer often. Fixed retainers tend to be very strong, but they can also break, so you’ll have to avoid biting very hard things. At Belmar Orthodontics, we do offer the perk of covering any breakage that happens to a fixed retainer during the first year. Retainers are amazing but simple appliances that can retain your smile for the rest of your life. You’ve invested 12-24 months of your time getting your teeth straight. The cost of braces doesn’t seem too bad if you consider that you can get decades of straightness from wearing a simple appliance at night. Always treat your retainer with care and wear it often (ideally every night) to keep your smile perfect and to prevent your mouth from becoming sore (from shifting teeth). If you would like a retainer or need to be fitted for one, call our Belmar Orthodontics office today at (303) 225-9016 today!